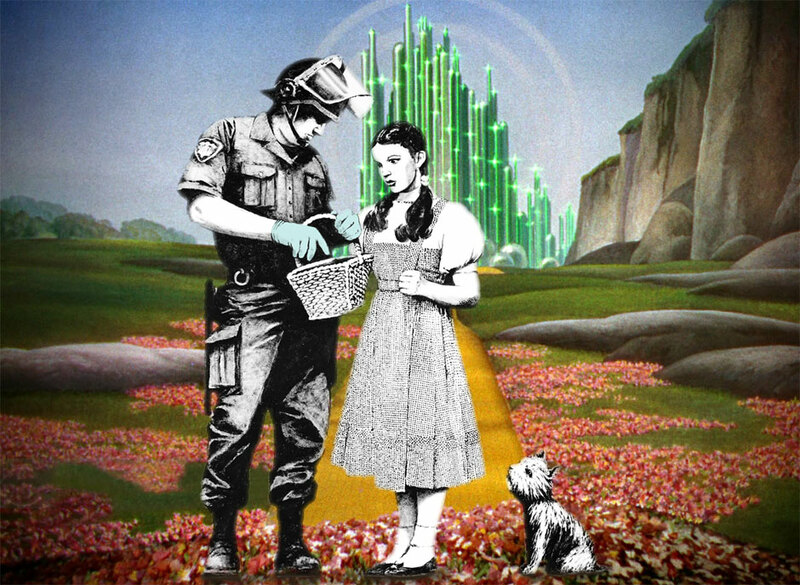 I took street artist, Banksy‘s, stencil art piece called “Stop and Search” and put it back on the street, the yellow brick road. I was just playing with Photoshop to make a mashup, so Banksy should get all the credit, with maybe a little bit going to MGM. Hi – my name is Alonzo, and I work at Artsy. While researching Banksy, I found your page: http://im-agi-ned.com/yellow-brick-banksy/. Our Banksy page provides visitors with Banksy’s bio, over 315 of his works, exclusive articles, and up-to-date Banksy exhibition listings. The page also includes related artists and categories, allowing viewers to discover art beyond our Banksy page. We would love to be included as an additional resource for your visitors via a link on your page. If you are able to add a link to our Banksy page, please let me know, and thanks in advance for your consideration.